This is probably the ultimate multi-purpose spy gadget I have found so far. If your looking for a one stop shop to solve the bulk of your counter surveillance needs then look no further! 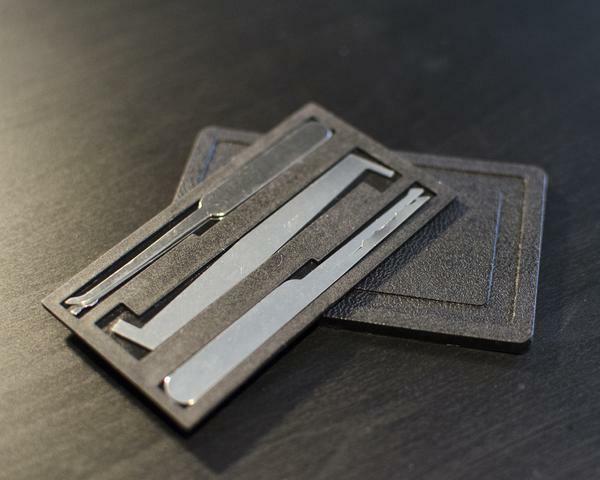 Not only do we have a multi-functioning counter espionage tool, but it is durable, high functioning and high quality, hence the five star rating in the customer review section. So what is the C3000-Pro? The C3000-Pro is a professional anti- stealing recorded wireless handheld device. You can use it to monitor and identify all wireless videotaping equipment both indoors and outdoors quickly and effectively, no matter how the placed videotaping equipment has been hidden or camouflaged. Hidden cameras can be in many disguises, such as: clothes, buttons, bags , mugs , or books. Even if the device is hidden in the couch, on the ceiling or even in cement walls! 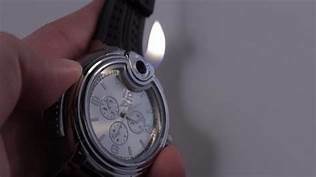 This spy gadget will be able to locate it accurately. 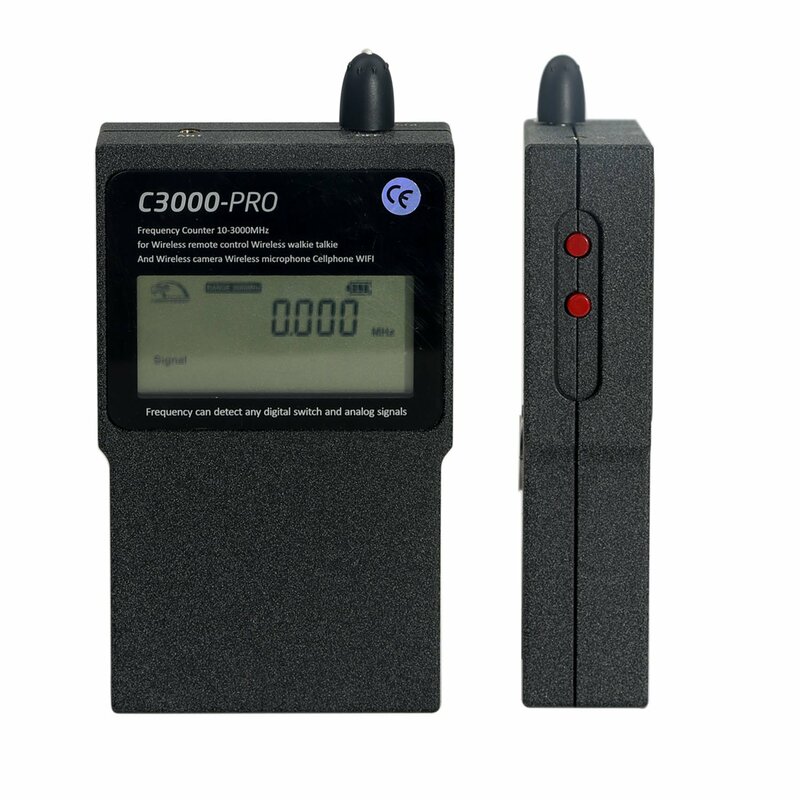 C3000-Pro measures the frequency of any digital or analog signal, such as a mobile phone, wireless remote control, digital radio, car key, WIFI, radio, 1.2G/2.4G wireless camera, wireless microphone and etc. This counter surveillance gadget can detect a wide range of frequencies(10 to 3000 MHz), so you can leave no stone unturned in making sure that your place is wiped clean of any kind of monkey business. The C3000-Pro comes with a built-in lithium battery and uses an intelligent charging system for efficient power use giving you maximum quality and lasting performance. This useful spy gadget is made with an aircraft-grade aluminum casing to ensure high performance and durability. Both the device and its accessories are integrated into military-grade carrying cases to protect the equipment from all possible external damage and to allow easy carrying. 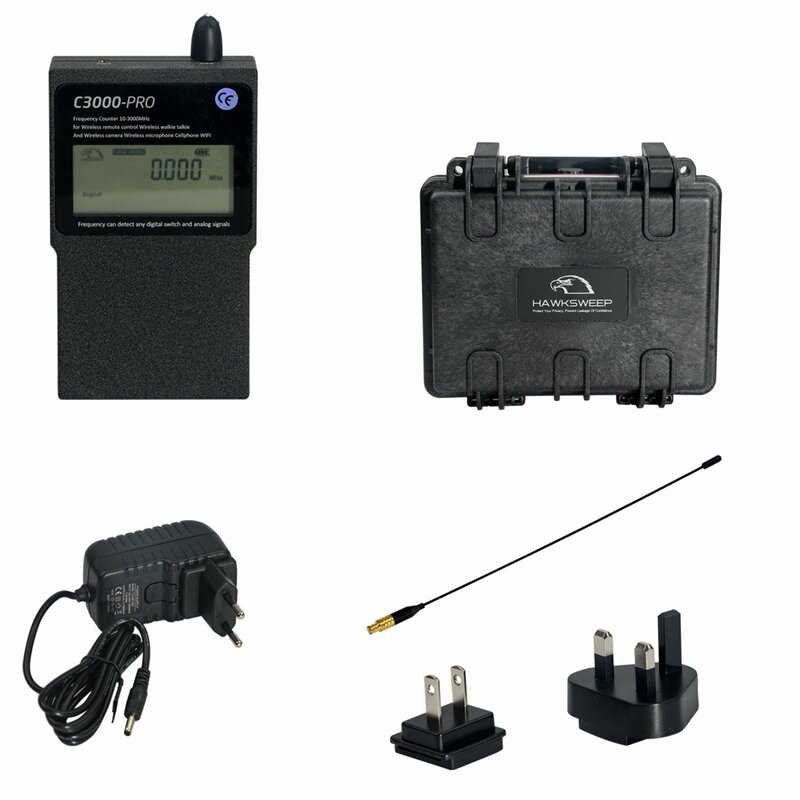 This gadget uses an eight bit LCD display and can measure the frequency both digital or analog signals. This device has a 16 extrasensory synchronous RF signal strength indicator (-35dBm to 0 dBm). More features include: a temporary keys function, LCD display for easy reading. Test range keys function, LCD display. Squelch adjustment. A 3 hour low-power lithium battery. High, medium and low battery LCD display; and an LED charge status indicator. It is configured with a full-band antenna and charging adapter.